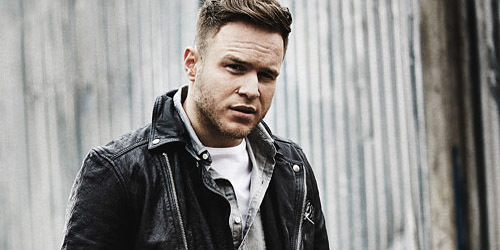 After his In Case You Didn’t Know era delivered three consecutive top ten singles on my chart in 2011 and 2012, former X Factor U.K. runner-up Olly Murs had a lot to live up to when it came to his next era. Well, he and it did, to the point that he proved that, not third, but the fourth time was the charm when it came to topping even my personal tastes. After the disappointing results of the U.S. release of “Heart Skips A Beat”, which barely edged into the Hot 100, “Troublemaker” had a much easier time landing on station playlists, going top ten on the CHR airwaves. It also charted on a few other radio surveys during the late spring. That’s about the extent of what Murs has done here; the label recently gave up on a remixed version of “Dance With Me Tonight” after multiple delays, which earned some Hot AC play but couldn’t take off. It’s safe to assume that nothing else from the album will be promoted here, which is a shame as something like “Hey You Beautiful” would’ve at least ranked somewhere in the lower rungs nationally. Oh, well. Murs is set to release his next studio album in mid-2014 in Europe; no word on what the Stateside promotion for it will look like if anything. 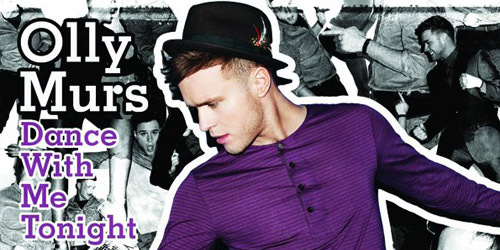 Whatever the case, I’m ready for some more Jolly Olly fever. Be on the lookout, people. Surprised about this one? I definitely was, and I’ll admit it, I didn’t exactly “get the song” when it first came out. I just thought it sounded like a messy, grimey drum and bass track, which I’m not the biggest fan of general. However, the more I listened to it, the more I enjoyed it. It really pumps you up and gets you energized. Both the quartet and solo singer Newman are originally from the United Kingdom, the former from London and the latter from Northern England. The song was originally released last May in the United Kingdom, debuting in the #1 spot, giving both Rudimental and John Newman their first ever #1 singles. Success was varied across the European countries, though it went top ten in a handful of countries, including down under in Australia and New Zealand. In fact, it proved so popular in Australia that it’s now been certified three-times Platinum alone there. 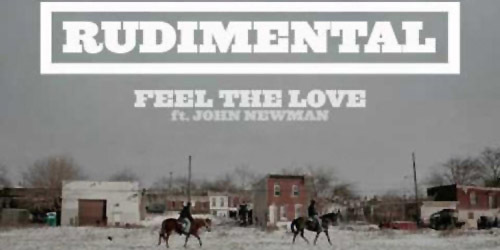 Rudimental recently released an album Home in the U.K., featuring another top 20 single with Newman and Alex Clare, “Not Giving In”, and a #1 collaboration with Ella Eyre, “Waiting All Night”. Newman has also moved onto a solo career, launching his first single, the beautiful “Love Me Again”, next month. (You can view my profile on him here.) “Feel The Love” goes to radio on June 25 on Roadrunner Records, the same label that handles acts like Nickelback and other rock outfits. An edit has been serviced that reduces the song to just under three minutes long, which you can hear above. They’ve proven their success before on both on the Alternative and CHR surveys, but a hard-hitting dance single like this is a risk. Hopefully it works in their favor. Dancing to his own drum. 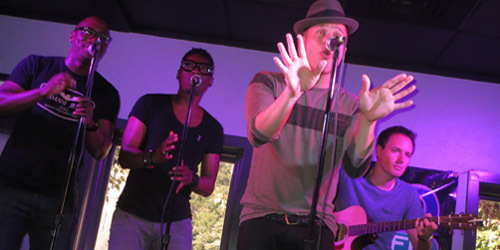 You can rock it and you can roll it at the hop and Olly Murs knows a thing or two about hopping from shore to shore. After “Heart Skips A Beat” failed to blow up last fall, Syco and Columbia Records managed to make a hit out of “Troublemaker”, which peaked recently. That went to #1 in the United Kingdom, as did his new single here… only this new single was originally out in 2011. That would be “Dance With Me Tonight”, which hit the top for one week in December 2011. It’s a glossy swing-inspired number that is reminiscent of some of the big hits of the era like 1961’s “Quarter To Three” by Gary U.S. Bonds and “Runaround Sue” by Dion. “Tonight” has been slightly remixed for the U.S. radio release of it, and you can hear that new version of it. If you’re familiar with the album version that was out in Europe, I’ve managed to pick out some of the main differences. In the introduction, there’s now a solid piano line underneath the announcer where there was once a guitar line. You’ll probably notice there’s also more emphasis on a new percussive line, and volume on that has been increased in several places, including the chorus and middle eight. The horns are also lowered on the chorus. Lastly, at the end, the repetition of the “Girl just close your eyes/We can dance all through the night” line has been removed and replaced with a couple of newly recorded ad libs. It was hot in Europe and it has the potential to be bigger than in 1998 when the Brian Setzer Orchestra and the Cherry Poppin’ Daddies hit it big. The new edit was serviced out earlier this week, so start perfecting your jitterbug, jive and lindy hop now. Are you a fan of either track? 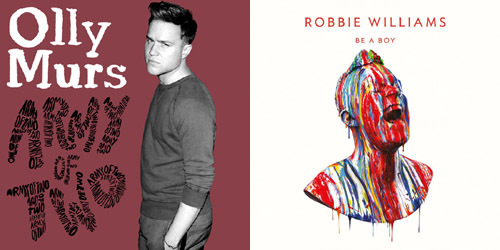 Can’t wait to see Rudimental and John Newman crack the U.S. market or Olly Murs pick up another hit? Let me know! Comment below or find me on Twitter: @AdamFSoybel.